Our antique red caboose is the perfect way to celebrate a birthday as a private group aboard one of our regularly scheduled trains. You supply the food, drinks and balloons, and we supply the caboose and tracks! 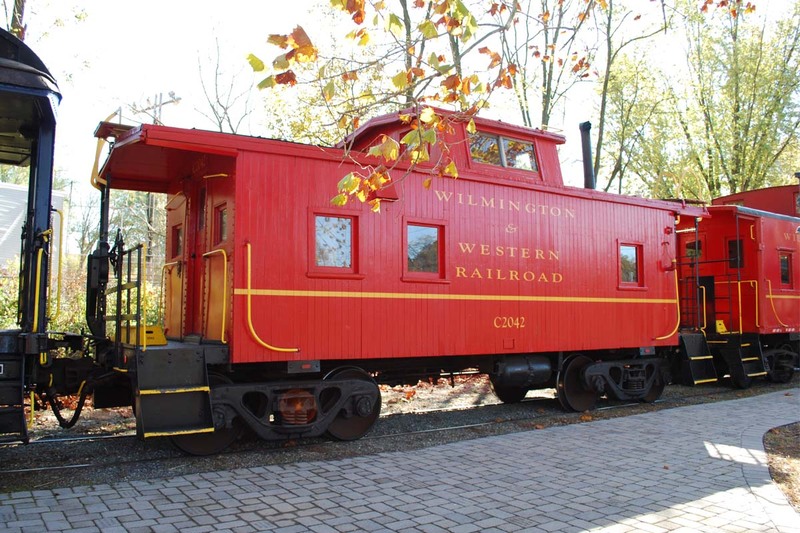 Our red caboose offers a distinctly different way of celebrating your child's next birthday. 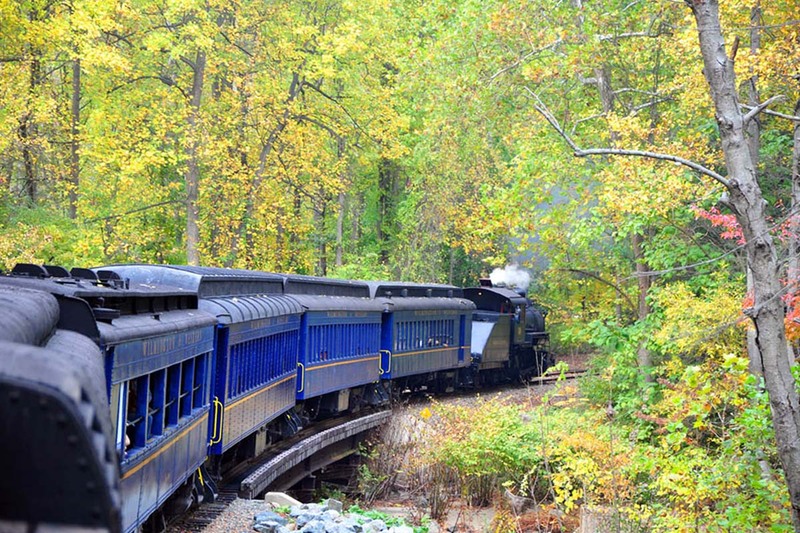 You and your caboose will ride along behind our train as it travels up the Red Clay Valley. Each caboose features tables and benches, and you're welcome to decorate the inside of the caboose (for safety reasons, decorations are not permitted on the exterior). A member of our train crew will ride along to ensure everyone has a safe trip and to answer any questions during the ride. "Upstairs" cupola - see the view from the cupola here! The Birthday Caboose is available for more than just birthdays! Our cabooses are perfect for any small, private gathering aboard our train. Prices listed below include all fares - there is no additional per-person ticket fare for caboose rentals. Caboose Rental as part of a regularly scheduled train to Mt. Cuba, including the Mt. Cuba Meteor and Halloween Express excursions. Caboose Rental on one of our premier Special Event Trains, including the Easter Bunny Express, Civil War Skirmish Weekend and Santa Claus Express excursions. Caboose Rental as part of a regularly scheduled excursion to Hockessin, including the Hockessin Flyer. Private Caboose Rental (2-hours) with diesel locomotive NOT part of a regularly scheduled train - this is a private train for you and your guests ONLY, and is not open to the public. 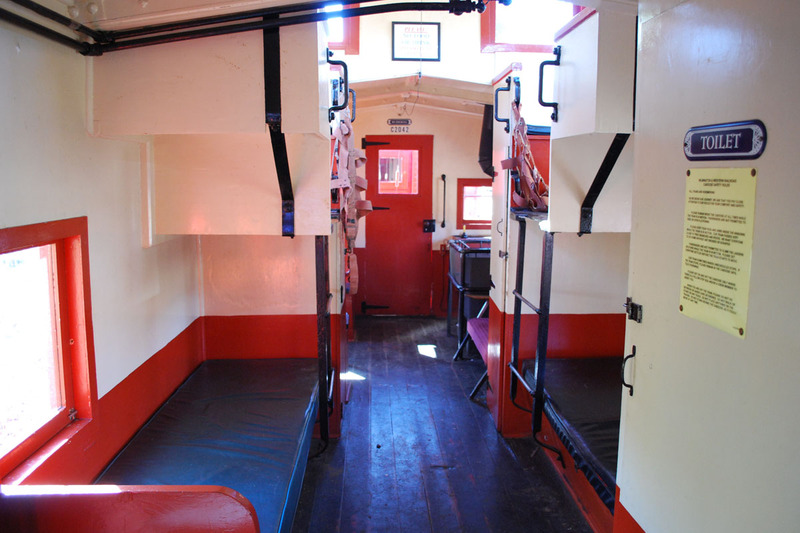 The caboose holds 20-25 people, but additional riders can be seated in a coach - see below. Each Additional Coach (72 seats) - For Private Caboose Rental only, not applicable on regularly scheduled revenue trains. You can see the entire train from up in the cupola!